pastornathan.ca | …what I am thinking right now. …what I am thinking right now. Hey there! Thanks for dropping by pastornathan.ca! Take a look around and grab the RSS feed to stay updated. See you around! You’ve all probably heard the expressions “when the tire meets the pavement”, “when the rubber meets the road”, and “when reality sets in”…right? If not, I probably picked them up from my childhood in rural Nova Scotia. These expressions mean that things can look great when they are ideas or plans…but they can look totally different when they become real and its time to put them into real life. 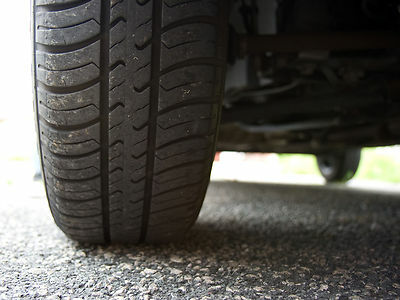 When the “tire meets the pavement” the car moves ahead. 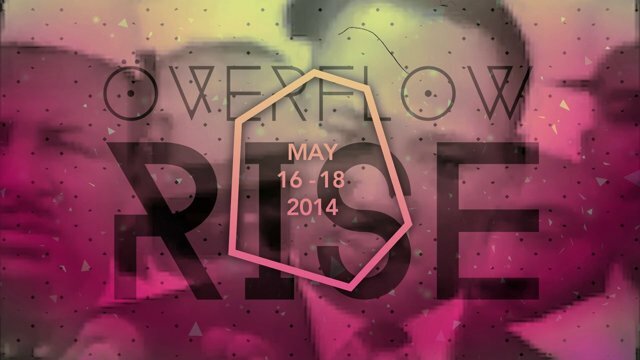 So, are you ready to move ahead with what God has done in your life at #OFLO14? It is agonizing to think that after God has revealed himself to so many people at #OFLO14 we would return home swept clean but still empty spiritually. The reality is that what God does in our lives in a moment still requires a lifetime of follow-up on our part. Right? This is called discipleship, and it is what Jesus was referring to in the story I told you. Mary Magdalene, a prominent woman in the story of Jesus’ life, was relieved of a significant burden in her life by the power of Jesus. Her response: she became an active disciple of Jesus. I could go on…but I won’t. If you take even half of those statements seriously enough to implement them into your life, you are on the right track. Your destiny will be changed and your life will be more abundant than you can imagine. Like I said, this one will take work. Not work to earn God’s love and eternal favor, we already have that. The work we now do is God’s work on earth as we have now because a part of his body. We are his hands and his feet. This is a marathon; let do it! (1) The New International Commentary on the New Testament. Gospel of Matthew. R.T. France. Ok, so I know that this is technically “two” days after OFLO ends, but most of you probably slept all day yesterday and so that doesn’t really count. Today was your first full day back into your normal routine of school, work, family, school bus, homework, home room, teachers, parents, detention, siblings, lost homework, exams…and so on. So, I want to ask you this: How are you doing? No, really. How are you doing? OFLO was amazing! Sometimes regular life is not amazing. OFLO definitely was a place where God’s voice and worship were readily accessible. Sometimes regular life can mask or drown out the voice of God in our lives. OFLO makes having faith easy. Sometimes regular life crushes our dreams and steals away our faith. When Jesus was on earth he took some of his closest people away on a prayer retreat to a certain mountain. While they were there the presence of God was so rich and so real that Jesus’ face changed its looks and his clothes shone like lightening. The friends that were with Jesus thought this was amazing and wanted to build three shelters so that they could stay there. They recognized that it was good to be there. What a contrast. One day they experienced the ultimate glory of God and the next they were experiencing the frustrating entanglement of evil in all of its limited but real impact. Does this sound like what you are feeling right now? Do you wish OFLO had not ended? Would you like to have built shelters to stay in (or just booked a few extra nights at the Crowne Plazza)? Do you want to worship with the house band night after night? It was good to be there; but now it is good to be home…right? I am sure that some of you (if not many of you) have been confronted with evil, temptations, and the ugly sludge of life already. OFLO was good…so what now? I have some great ideas for how each of you can carry on what God has revealed to your heart. As your pastor, I have been thinking and praying about each of you and the things that God has done in your heart. And I do have some ideas. For now, however, I want you to rest comfortable in the fact that feeling a sense of loss and disorientation after OFLO is a real and normal thing to be experiencing. Nevertheless, the answer is not to constantly look back to what was. Rather, look forward to what will be and how God will continue to be with you in the meantime. I have another idea for you too…and this one will require work. I’ll tell you about it tomorrow. As I have been reflecting on divine healing and other biblical themes I was struck by a parallel with the role of the Spirit in the OT versus the NT and the role of the Kingdom of God (or heaven) in the NT versus the age that is to come after the Second Coming of Christ. This may or may not strike a chord with you…but please interact with this if it does! I have taught often about the role of the Spirit in the OT versus the NT. The Spirit was quite active in the OT and often filled people, provided them with creative abilities (Exodus 31:1-3, Bezalel crafted object for worship), gave them wisdom and knowledge (Genesis 41:37-38, Joseph interprets dreams), and even inspired prophetic words (Numbers 11:24-25, Moses and the elders). Elsewhere in the OT we see the Spirit inspiring Judges, prophets, kings and others with specific words and actions, for a specific time and purpose. In the OT the work of the empowering Holy Spirit was reserved for just a few people, not everyone. The work of the Holy Spirit was reserved for specific moments in time, and then he withdrew. The prophet Joel prophesied of a time when the empowering word of the Holy Spirit would be shared with everyone (Joel 2) and the prophet Ezekiel prophesied of a time when the Holy Spirit would start a new work that was never before undertaken in the hearts of all of the faithful, a work of holiness and righteousness (Ezekiel 36:25-28). In the OT it was the law that kept people holy and righteous; in the NT Ezekiel tells us this will change. Both of these prophetic promises came to pass. Today the Holy Spirit resides in all who confess faith in Jesus Christ no matter of their denomination. Paul tells us in Romans 8:9 that if someone does not have the Spirit they are not in Christ. The Spirit convicts us of sin and assists us with righteousness (i.e., the fruit of the Spirit). The Holy Spirit also subsequently empowers those who have confessed faith in Christ to be witnesses of that fact. Luke tells us in Acts 1:8 that the Spirit will empower us to be witnesses and this fact is demonstrated numerous times throughout the book of Acts. The Holy Spirit, once temporary and breaking in here and there in the OT, has become a permanent fixture in the lives of NT Christians. In the same way, the Kingdom of God, currently breaking in here and there in a temporary fashion (remember my movie trailer metaphor), manifesting its power and glory here and there, will become a permanent fixture in the lives of all of the faithful when Christ returns and ushers in this new era of existence. One of the things that this parallel tells me is that just as God was faithful in sending his promised Holy Spirit, he will be faithful in bringing the Kingdom of God to us in due time. Another thing that this parallel tells me is that the Kingdom of God has not ‘arrived’ in the sense that the Tree of Life is presently here for harvesting whenever we desire. Some of the fruit may be presently accessible (i.e., fruit of the Spirit) but some other fruit is still not fully ripened (i.e. divine healing, removal of sin, removal of death). I believe signs and foreshadows of the Kingdom of God are breaking in all the time but we cannot over state what God is doing in some places (i.e. that they have somehow ‘got it’, whatever ‘it’ is) and we cannot degrade our local context if we do not see the same kind of evidence of the working of the Kingdom of God. King David was once a young boy tending sheep. Sheep smell and they are not the brightest. Who would have ever thought that he would one day be anointed King and carry the empowerment of the Holy Spirit in a day where this was not something everyone in God’s elect had the opportunity to do. Yet, he was faithful where God placed him and with what God gave him. So…eagerly await the full release of the Kingdom of God…on God’s timing. Pick the fruit that are presently available and anticipate the ripening of what is still to come. Divine Healing II: Why do you want to be healed? Why do you want to be healed? For some the answer to this question might be quite easy. I want to live. I do not want to continue experiencing pain. I want more time. I need reprieve from my misery. These and many other answers motivate us to pray for healing…and these are honest motivators! A second question will bring some clarity to this. Why did Jesus heal people? The answer might be a little less obvious and of course it is not easily settled into one sentence. However, a major theme surrounding the healings of Jesus was that they were to make his name and his ministry famous amongst the people and to draw attention to his Father. Did Jesus care about relieving pain? Yes, I am sure that he had compassion for the sick…but he did remind us all “…in this life [we] will have trouble” (John 16:33). Did Jesus want to give people more time to live? I think he preferred that they have more time to repent rather than more days to live. Even Paul reminds us that to live is good but to die is to gain. I do not want to condemn our past and present motives for healing prayers. Instead, I want to help us adjust our thinking about divine healing. I attended a conference earlier this year where Dr. Van Johnson (Dean of Master’s Pentecostal Seminary) suggested that the reason we do not see more of our prayers for healing answered is that we are praying with the wrong perspective in mind. Dr. Van suggested that if we are praying simply for our own well-being and to be saved from pain and suffering our heads and hearts are in the wrong place (my paraphrase of what he said). Miracles (such as divine healing) occur as a sign to unbelievers. In the aftermath people ought to be brought to Christ or brought deeper in Christ. Notwithstanding what I have already stated about the frequency and occurrence or divine healing in Part I of this post, something in my heart resonated with what Dr. Van suggested here. I was convicted of my own perspectives and I was challenged to do something about it. You see, while Dr. Van was speaking at this conference I was sitting in my chair with an appointment card in my wallet to see a surgeon…and I really did not want to go to that appointment. Early last fall I began to notice a lump on the left side of my back, up near my shoulder. The lump grew fairly quickly and caused a small about of concern for Mandy and I. My family doctor sent me for an ultrasound and confirmed that it was likely a benign mass (phew) but I should likely have it surgically removed. I have never had surgery before. I am a little bit of a basket case when it comes to illness, especially when it affects my own body. I did not want surgery! I wanted to be relieved of the pain and suffering of this experience…not to mention the emotional turmoil of it all. So, I had the leadership and prayer team at EGCC pray for a month that this mass would shrink and disappear. Unfortunately it did not change. The morning of my surgical consultation I prayed that this whole situation would receive closure that morning. I think I was ready to have the doctor cut it out that very day in his office if that is what it took! I prayed that whatever was required would just happen so that I could have closure. When I saw the surgeon he examined me and said that the mass would likely decrease without medical intervention and may actually be irritated and made worse by surgical removal. I was never more relieved. I received a measure of closure that very morning. My prayers were answered. I still have to visit my friend the surgeon again at the end of August to ensure that things are still decreasing like he expected. My own estimation is that the lump has reduced in size and for that I am thankful. I am still praying that it would be completely gone some soon day…for now it is still there. I just checked. The reason I am blogging about this is because I am attempting to change my perspective. I am attempting to position myself so that healing in this area of my life will not simply save me the pain and suffering of surgery but also be a sign of God’s blessing and therefore make him famous amongst people. Blogging is my way of changing my perspective…and so I challenge you to consider how you can change the way you pray for healing also. Divine Healing I: The time has come…but not yet? There is considerable interest in the topic of divine healing amongst Christians of most any denomination. While there are those that disagree with God’s desire to heal people here and now, in times of crisis I have rarely seen a Christian person NOT pray for healing, suggesting that it is not a theologically sound idea. As I have navigated the waters of divine healing over the years I have heard many ideas for and against and I have disagreed with some of the voices on both sides of the argument. Throughout the years I have also seen people prayed for and healed. Indeed I have prayed for people and have seen them healed. Many other times I have not seen them healed. What do we make of all of this then? Does God heal or doesn’t he? Is it normal and expected or not? Should we ‘get people’s hopes up’ that God might heal them and risk a drastic let down? How will this affect their perspective on God after the fact? I think that I finally have some answers for these questions. Biblically speaking, humanity was created in wholeness, without disease and decay. We were given direct access to the Tree of Life in the Garden of Eden, as the biblical narrative tells us. Essentially, humanity had the opportunity to be perpetually renewed through access to God, the giver of life. Something catastrophic took place, and humanity was placed at a distance from this Tree of Life…at a distance positionally, relationally, and spiritually. This is where disease and death entered into human existence. If we fast-forward to the end of all things as described in the Bible, we find a dramatic renewal of this Garden of Eden state; the coming of the kingdom of God as Scripture describes it. At this time our imperfectness will be made perfect and sickness and pain will be removed (Rev 21:4). This will be a literal heaven on earth situation where humanity’s relationship with the life giver, with God himself, will be unhindered once again. 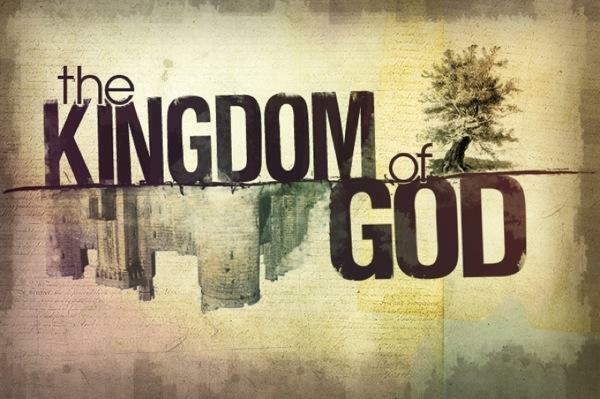 The kingdom of God (or of heaven, depending on the biblical author) will have come to stay. Humanity finds itself today living between this “Garden of Eden” state and the complete coming of the Kingdom of God. Many important things have happened spiritually throughout the past thousands of years and it seems that we are approaching a time when death, disease and decay will be removed from all of human existence…but we are not fully there yet. So, where do we stand in terms of God’s healing here and now, even today? Lets consider for a moment that the approaching Kingdom of God is like a movie that is highly anticipated but not yet released. For example, the sequel to the movie “Hunger Games” is highly anticipated by many people. Prior to the release we will see posters, trailers, and advertisements…all aimed to stir some measure of passion and anticipation for the movie. In fact, the purpose of a movie trailer is to give you just enough of a taste of the movie to keep you wanting and anticipating the day when the full movie will finally be released. I believe that we are living in a day when the Kingdom of God is breaking in here and there with evidence of divine healing and a number of spiritual gifts and manifestations with the purpose of pointing us to the coming merger of the present world with the coming Kingdom of God. What we can expect from God today is a regular ‘breaking in’ of the Kingdom of God just like a movie trailer would crop up here and there to show us a little piece of what the movie will be all about once it is released. This is actually quite biblical when we read what John the Baptist said about Jesus (“…the Kingdom of heaven has come near” Matt 3:2) and what Jesus himself says in the Lord’s Prayer (“…thy kingdom come, thy will be done on earth as it is in heaven”). These and many other Scriptures point to the approaching Kingdom of God that is indeed breaking in but has not yet completely arrived. With these thoughts in mind we are better suited to answer the questions I posed earlier. Does God heal or doesn’t he? Yes, God heals, even today. Is it normal and expected or not? Everyone will not be healed in this present day, although we should not place limits on what God may decide to do in our life or our church. Should we ‘get people’s hope up’ that God might heal them and risk a drastic let down? We should teach people what the Scriptures say about healing and then invite them to the truth of God in this life whether they are healed or not. How will this affect their perspective on God after the fact? I am sure that some will scoff at the fact that all are not healed. I am sure that some will suggest that it is because God is not that great and the whole thing is a farce. I think, however, that in some matters (such as this one) God is big enough to defend himself and will do so in good time. I have a few other thoughts on divine healing that I want to share and I will do so in the coming days. For now, think about this: when you see the Kingdom of God breaking in here and there but maybe not where you are at the moment, do not get discouraged and assume there is something defective about your faith, about your church, or about your pastoral leadership. Rather, rejoice that the Kingdom of God is active in our world. Celebrate with those who are healed and make the name of Jesus famous. And…never, ever loose the hope that God’s Kingdom can indeed break into your life and into your church at any moment of any day. The students are enjoying a fun afternoon of hanging out at the mall, the hotel and the OFLO complex. We are heading for dinner in two hours…more details later! Well…..this is my first post of OFLO 2013 and it is already day two. This is not because I am slacking or because we have had a major issue. Rather, its just because things have been sooo busy and I didn’t get back to my room until after midnight last night! So, let me bring you up to date. The drive up was uneventful. Really. The kids were all quiet. Really. Us leaders are still trying to figure that one out. The biggest piece of news is that someone’s guitar (not our’s) fell off their truck onto the 401….and Mandy ran it over:) No damage to the car, but the guitar will not be functioning as a guitar any longer. RIP. We checked into our hotel and realized that there were no cots available so we had to juggle the rooms lists a little and get an extra room. No worries, we had everyone settled within 30 minutes and everyone (except Nic W, by his choice) has a bed to sleep in. Nic is sleeping on couch cushions on the floor. We went to the world’s busiest Wendy’s for dinner and waited almost an hour in line…and then it was off to OFLO! The speaker last night gave the students a great challenge. His message was rooted in Genesis 2 where Adam and Eve hid from God after they had sinned. He spoke to the students about fear and what that can do in our lives. He reminded us that fear causes shame (like when Adam and Eve sinned) and shame causes us to lash out and blame others (like when Adam blamed the woman for his sin). The speaker reminded the students that the opposite of fear is not faith…rather it is perfect love. Remember the Scripture, “…perfect love casts out all fear”. These moments in your son’s and daughter’s lives are just beginning moments, they are not ends in themselves. You can help your son or daughter to continue to live out commitments made and decisions made at OFLO by asking them questions about the spiritual content and letting them know that you are there to be their spiritual guide when they need it. That probably sounds a little scary sometimes for you…but just trust that God will give you the wisdom and insight you need for the moment. So, here we are on Saturday morning! In 15 minutes we head to Tims to grab a quick breakfast and then we are off to OFLO again! I’ll try to sneak another blog post in this afternoon so long as I can find some WiFi. I think that everyone knows what a coincidence is. A technical definition would be that a coincidence occurs when any number of random and unrelated events occur together in such a way that something great and unexpected emerges. Implied in the understanding of a coincidence is that they are ‘accidental’ or ‘arbitrary’. 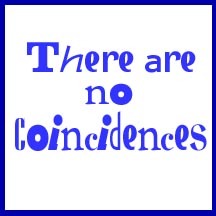 I am not sure if I believe that coincidences are purely accidental or arbitrary; I tend to believe that there may be a driving force behind some, if not all, instances of coincidence. So, if we accept the idea that nature will tend to progress towards greater disorder rather than greater order when left on its own, how then do we explain a series of random events that actually produce something orderly, something productive or something great? How do we explain a coincidence? Mandy and I experienced a prayerfully initiated coincidence this past week. Last Friday we were given a somewhat bad report at the doctor’s office; the baby seemed to be making signs like it was coming early and for that Mandy was placed on more strict bed rest. We prayed all weekend along with many others that this would be a full term birth without complications. At our follow-up appointment on Wednesday we discovered that the bad report from last Friday was misread by the nurse and things were much better than we had thought. 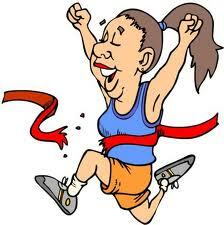 In fact, Mandy’s order of strict bed rest was lifted and she is now back on reduced activities. Was this a coincidence? If you have read this far you probably know how I feel about that. Prayer moves the hand of God. Prayer reverses things in the natural even when it seems logically impossible. Prayer draws us closer to God and answers to prayer build our faith to pray for even greater things. If You Want It…Go and Get It! Lyrics from a song that I just heard recently say this: “…if you want it then go and get it…”. This is a song called “I Love Your Presence” that one of the music team members from Emergency Ministries shared with me a few weeks ago. It’s a shame that we didn’t use that song this past week because it summed up quite well what our guest speaker, Pastor Mark Colwell, shared with the students. The Gospel of Mark records the story of a man named Jairus and an unnamed woman that was ill (commonly referred to as the woman with the issue of blood). Jairus was a well-respected man in the community and was a natural leader or trendsetter because of his position. The ill woman was an outcast because of her issue with blood; to bleed continually was to be unclean and this woman had been bleeding for 12 years. Enough said about that. Jesus was a threat to Jairus’ authority because Jesus seemed to be presenting a spiritual message that overturned much of the Jewish legalism of the day. Therefore, when Jesus visited town Jairus would not pay much attention. Consequently, neither did the woman who had been bleeding for 12 year. Something different happened one day; Jairus’ daughter was sick and dying and he had exhausted all the avenues that he knew of to make her well. And then Jesus came to town…there were rumors about the miracles that Jesus had done and Jairus thought that perhaps Jesus could help his daughter. In desperation he ran out to meet Jesus and plead with him to come heal his daughter. This was quite a statement because on Jesus’ other visits Jairus had likely seen him as a threat and not as an ally. Jairus’ boldness in approaching Jesus inspired something else; the woman that had been bleeding for 12 years snuck up and touched Jesus’ clothes. Immediately she was healed from her issue of blood! Jesus turned around and said, “Who touched me?”. It was not enough that this woman had been healed by Jesus…what was most important is that she knew Jesus and had a relationship with him. And all of this was possible simply because one man saw something he wanted and went after it. The touch of Jesus is present and waiting for everyone. There is no one too ill, too bad, too stubborn, too prideful or too poor and depressed that Jesus cannot reach them. The challenge is this: if you want it, go and get it. It’s that simple. Many people underestimate their influence on those around them. Many people think that if they choose to ignore God or refuse to open their lives to God it is only them that miss out. Imagine if Jairus had remained stubborn despite his daughter’s illness. Imagine if he had not acknowledged Jesus. Not only would his daughter have died and been buried…but the unnamed woman with the issue of blood would never have been inspired to reach out and touch Jesus to receive her healing and ultimately her relationship with Jesus. If you want it, just go and get it. If you want to impact your friends and your school for Christ…go and get him in your life. The way you live for Christ will give permission and inspiration for those around you to live that way too! My wife and I had a unique first experience just before Christmas last year: we experienced Black Friday shopping in Michigan for the first time in our lives. It was exhilarating, it was intense, it was LOUD, it was late…(we had to line up)…it was crazy…and at the same time I had so much fun. We picked up some really great deals on Christmas presents for our kids, presents for other people and a few things for us. There were people present at WalMart that evening, however, who did not handle this shopping trip in the same light hearted nature that Mandy and I approached it with. There was swearing, pushing, light punching, diving on top of merchandise, evictions from the store by security and shopping carts EVERYWHERE. Lets fast forward to Christmas morning: our kids got up and were amazed at the number of wrapped packages that filled the living room! We skyped with some family and then began to open presents. It went something like this: rip paper, look, set aside…rip paper, look, set aside…cry and scream because you want to play with a toy you just opened (me included)…but instead get another wrapped package placed into your lap to open. As Mandy and I reflected on this first Christmas in our own home with our children we realized that it did not play out quite like we had wanted. We envisioned a quiet and peaceful time opening presents, making organized piles of everything and then playing with toys later in the day in an organized fashion. We were naïve…and quite wrong! Recently I ran into the photo that I included at the beginning of the blog post. I was immediately reminded of my Black Friday shopping experience and subsequent Christmas morning chaos. There is a poignant truth conveyed by this photo that is quite impossible to relate in words. I guess a photo really is worth 1000 words. I am not writing so as to condemn us for enjoying the blessings of life in Canada. I too enjoy a warm bed, more food than I need and many toys and gadgets that make life easier. I even enjoyed Black Friday shopping…and the 40” television in my living room that came as a result. However…I also enjoy being a good steward of the blessings God has given me. I enjoy receiving our charitable donations receipts at the end of each year to see that with what God has given us we have been able to return a tithe and then some. I enjoy speaking with Phil and Donna Williams of Servant Heart Ministries; our church supports their medical and relief work in the Dominican Republic. I enjoy visiting the Dominican Republic and hanging out with people like Sandra Torino; though she has nothing she gives evenything back to those in her village of Auga Negra. She is a modern day Dorcas (Acts 9:36-42). I enjoyed taking Sandra out for ice cream one afternoon with our youth missions team and hearing her describe how special this was for her. I enjoy the talk of giving a young girl in our community a baby shower to show her that we still care deeply no matter the choices she has made. I enjoy having friends over when part of their family is out of town and I enjoy hanging out with Benjamin’s friends for an evening while their family attends to a medical emergency. These are the things that are necessary in life. 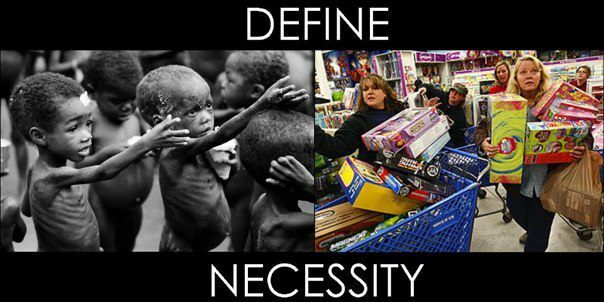 When we define necessity with greater depth than what can be found in a department store we suddenly find many more things to enjoy in this life and much more fulfillment in the way that we live. When we become aware of the blessings that we can pass on to others we suddenly realize that in so many ways we can bring much joy and fulfillment to those that live around us. Monkey Barrel: How do I get to heaven?